From steampunk author, Kin S. Law, comes the Lands Beyond Box Set. 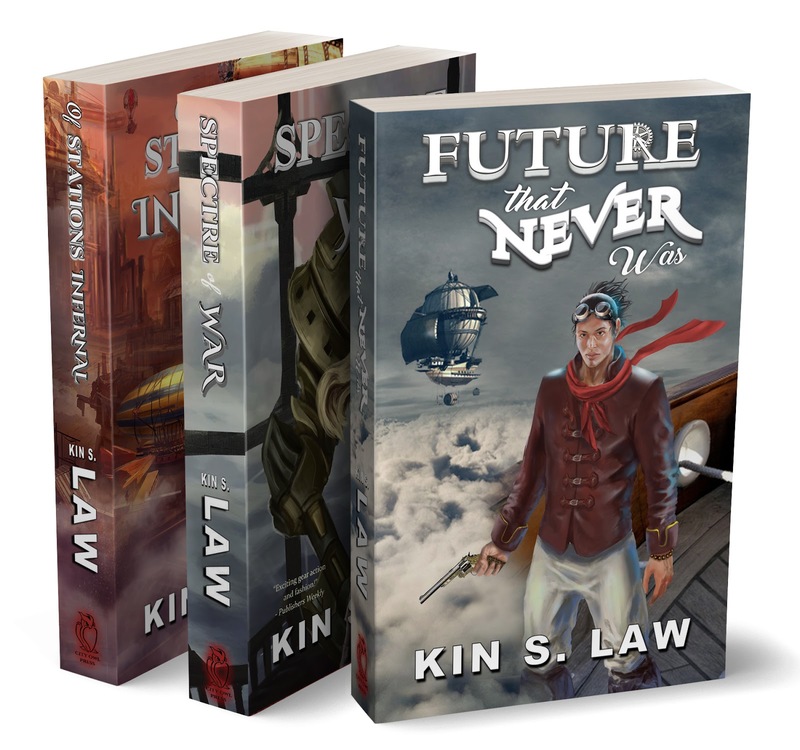 The collection contains books 1 – 3, including Future That Never Was, Spectre of War, and Of Stations Infernal. Join Albion and Vanessa as they encounter air pirates, clockwork giants, and ghost trains! It’s a high-flying adventure romp. Join Albion in this steampunk adventure romp and global bar crawl to save the world. Join Vanessa to solve the case in this giant robot steampunk mystery.